The ongoing conflict in Marawi City has taken yet another soldier from the Cordillera region. 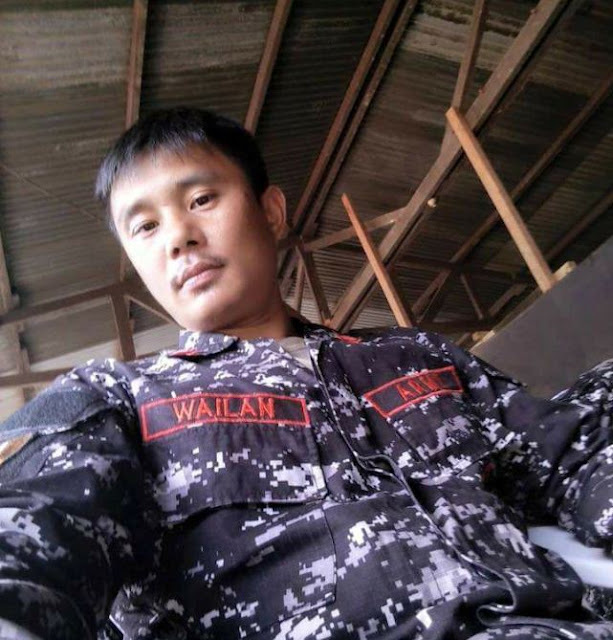 Scout Ranger Corporal Nelson Lasang Wailan was shot and killed during an encounter with Maute terrorists inside the besieged city on August 3 (Thursday). Wailan hails from Tabuk City in Kalinga. He was 35 years old and about to turn 36 this coming 27th of August. He has served in the Philippine Army for thirteen years. Wailan is the second child in a family of eleven siblings. In an interview with Bombo Radyo Baguio, his sister Madonna Lasang Wailan described him as a kind, loving, industrious, and very responsible brother. Wailan is the sixth Cordilleran to perish in the conflict that has been brewing for more than two months and one week now. The war erupted in May 23 when Maute militants attacked the city and occupied several buildings. The other five heroes who sacrificed their lives in service for the country are Philippine Marines Private First Class Gener Tinangag from Barlig, Police Senior Inspector Freddie Manuel Solar from Baguio City, Special Action Force PO1 Moises Kimayong from Lagawe, Ifugao, Special Action Force PO3 Alexis Mangaldan from Bangued, Abra, and Philippine Army Corporal Benito Serrano from Conner, Apayao. Nelson Lasang Wailan. Photo from Facebook.